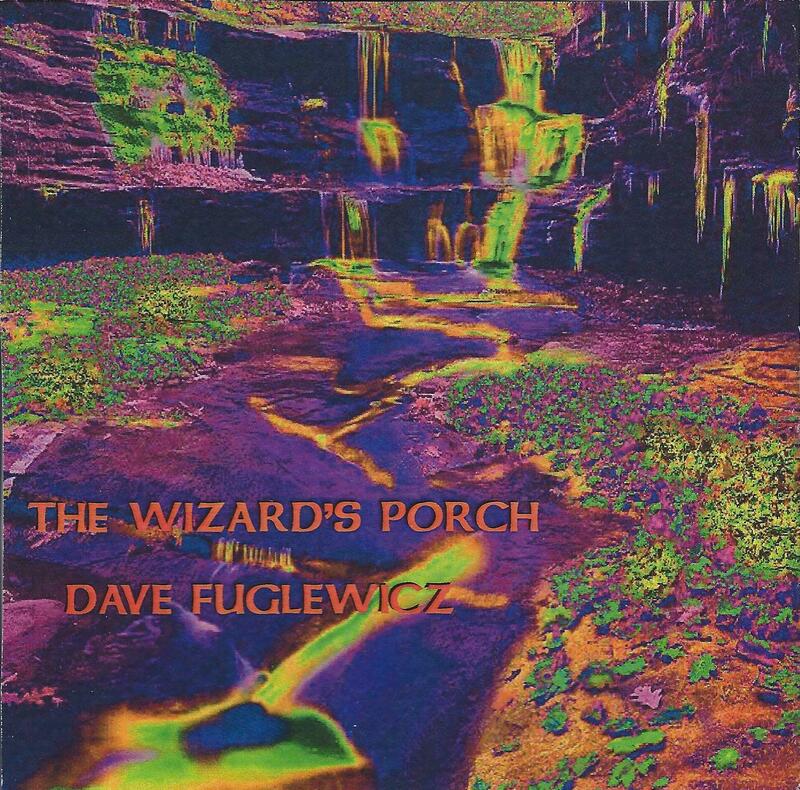 Electronics maestro and veteran hometaper Dave Fuglewicz first recorded The Wizard’s Porch in 1996 as part of a collaborative project that fell through. Consequently, the recording sat until 2011 when Dave decided to add some finishing touches and release it as a solo effort. For the CD release of The Wizard’s Porch, Dave decided to include both versions of the piece, the as-is 1996 version and the newer spiced up version, both of which clock in at 28 minutes (just a couple seconds difference between the two). Starting with the 1996 version, the music is driven by a repetitive pulsating machine-like space drone, surrounded by bleeping, blurping alien noises, bird chirps, and what sounds like real bells. Throughout the piece I kept thinking this would be ideal as the effects/music that accompanies and supports various scenes in a sci-fi film. The first part marches along slowly but steadily, and has a dark claustrophobic feel that conjured up images of being stuck on the spacecraft in the first Alien movie. Then around the 11 minute mark the pace picks up and the space cauldron gets louder and more intense, with all manner of spaced out effects, and the bells providing an interesting contrast to the overall sci-fi theme. If I were a proper reviewer I would conduct a close compare and contrast of the 1996 and currents versions. But I prefer to just surrender to them as one big space excursion and jot down impressions that the immersive experience inspires (or maybe I’m just lazy). Having said that, I can tell you that the repetitive pulsating machine-like space drone still functions as the core of the piece, and rather than feeling like I had taken the same journey a second time, just kept tripping along merrily for another 28 minutes (i.e., Part 2). In summary, put on the headphones and experience some seriously image inducing outer-space brain candy. I would also encourage you to search Dave Fuglewicz at archive.org, as he has lots of downloads available there.